I am a 3D printing evangelist. In the way of anyone slightly fanatical about anything I can’t understand why not everyone is enthralled by it. On that note I will now present you with 4 examples of 3D printing which are, to my mind, incredibly interesting and therefore guaranteed(?) to convince you to geek out with me. 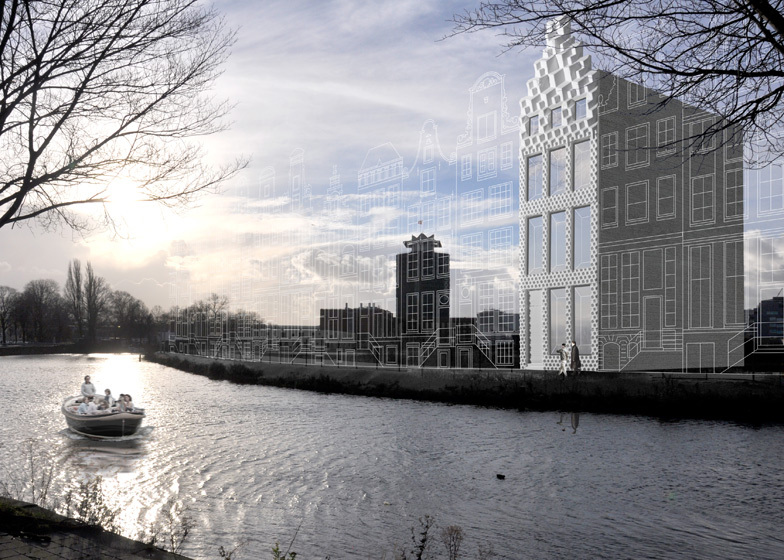 A 3D printed canal home is set to be realised this year by architects in Amsterdam using the Godzilla of 3D printers, KamerMaker (‘room maker’). KamerMaker is 6 metres tall and built out of a shipping container. Not as big as a house of course, yet able to make one, bit by bit. This method of 3D printing is ‘non-traditional’ (if anything invented in the 1970s can really be called ‘traditional’) as objects are normally printed in one piece with no seams or appendages. According to the BBC, to make buildings the KamerMaker ‘takes computer-drawn plans and uses them to make first the building’s exterior walls, then the ceilings and other parts of individual rooms and then finally its furniture’ using different types of plastics and wood fibres. The different parts are then assembled like a giant jigsaw. The canal house is intended to become an educational centre to promote 3D printing. However, 3D printed houses could become a practical reality in the future. How about printing cheap and temporary housing for very poor communities internationally to ensure dry homes during wet seasons, or for refugee camps? Waterproof shelter helps stop the spread of disease. Maybe one day, en masse, printed houses will provide a cheap solution. A highly publicised, brilliant example of 3D printed clothing is the incredible black dress worn by Dita von Teese recently. ‘The world’s first fully articulated 3D-printed gown’ was created by Francis Bitonti Studio, Michael Schmidt Studios, and Shapeways and is arguably beautiful, or at the very least interesting. Want some 3D printed fashion goodies for yourself? You can already buy some printed jewellery online. How about printed shoes, created to fit your own very feet perfectly? Size 6 1/2 need never be a problem again. Check out Nike’s new 3D printed shoes. Finally, as PSFK suggests perhaps we could all have clothes printers in our homes by 2050. I certainly wish Joshua Harris‘ concept 3D clothes recycler / printer was already a reality. Bye Primani, hello couture. Perhaps. 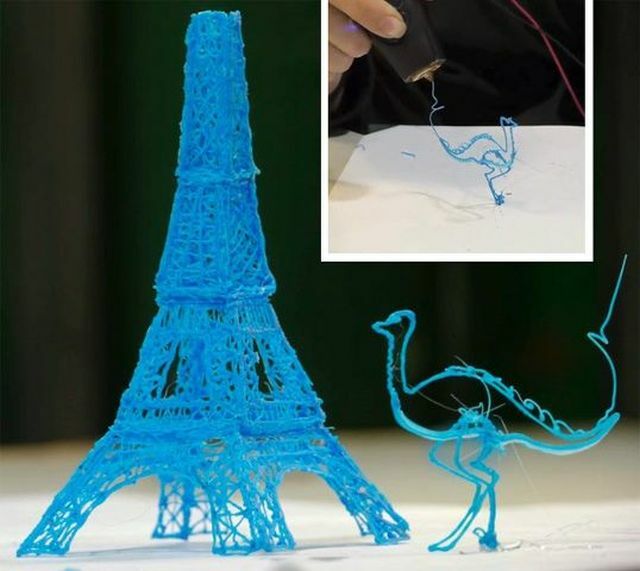 Meet 3Doodler. Admittedly not technically ‘printing’, but it’s pretty damn cool so it’s staying on this list. Sketch 3D. Create models quickly in the air, rather than creating them on paper and translating your sketch out of 2D later. The pen uses a cartridges of 3D printing plastics that are heated by the pen, similarly to a soldering gun. If I had had this as a child I would have wasted literally years of my life on this thing. Obviously lots of adults feel the same – since placing 3Doodler on Kickstarter its creators have achieved over $2 million in crowd-sourced funding. Not bad given the target was only $30k. So what’s next after 3D printing? 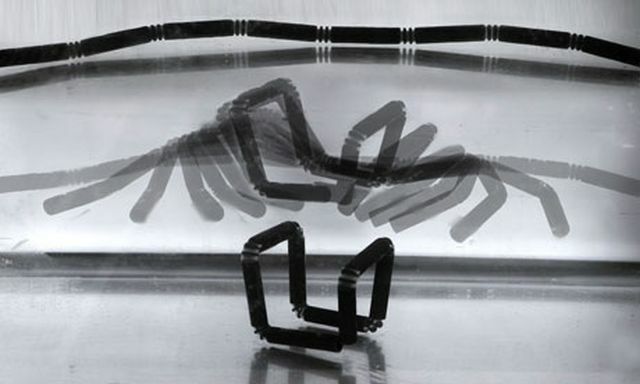 Meet 4D, or Self-Assembly. Print ‘objects’ flat and watch them assemble into 3D using stored water as energy source. Watch the TED talk by Skylar Tibbits from the Self Assembly Lab at MIT to see it in action. MIT’s Self Assembly research team brings together designers, scientists and architects to work on ‘4D’ innovations that they believe could be used for furniture, architecture, plumbing and even medicine. Never mind a printed house; how about a 4D printed house that can assemble itself?! If self-assembly doesn’t change the world it could still be great flat-pack idea for Ikea. Seen any other amazing examples of 3D printing or have ideas of how it could be used in the future? Comment below! This entry was posted in architecture, art, creative, design, new technology and tagged 3d printed clothes, 3d printing, 3d printing pen, 3doodler, 4d printing, dita von teese printed dress, dontbeahayter, kamermaker printer, louise hayter, nike 3d printed shoes, printed house, self assembly lab MIT, self assembly printing, self repair buildings. Bookmark the permalink. These are some amazing images Louise. Who knows, maybe one day 3D or 4D printing will save the world!